Smart Village Initiative (SVI) organized a three-day workshop on Energy Access to Off-grid Communities for Sustainable Development. Despite the increasing efforts towards improved access to modern energy services at the global, regional and national levels, energy poverty remains a major global challenge. Studies show that about 1.1 billion people globally live without access to electricity, while 3 billion use inefficient stoves which have been reported to lead to 4.3 million deaths per year. According to the International Energy Agency (IEA), 80 percent of the 1.1 billion people without access to electricity and modern energy services live in the rural areas of sub-Saharan Africa and developing countries in Asia. Being moved by these startling figures and realities of the global energy poverty, SVI is persuaded that people in remote villages deserve the same opportunities as urban-dwellers. To this end, SVI aims to provide policy makers, donors, and development agencies concerned with rural energy access with new insights on the real barriers to energy access in villages in developing countries, comprising technological, financial and political barriers, and how they can be overcome. Its focus on local energy solutions are targeted at off-grid villages, as they are more realistic and cheaper than national grid extension. Beyond rural energy services, SVI aims to ensure that energy access results in development and the creation of ‘smart villages,’ in which many of the benefits of life in modern societies are available to rural communities. 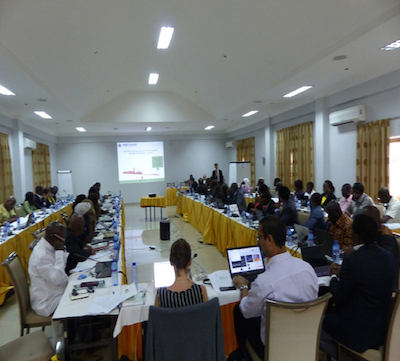 As a major strategy to garner valuable insights on the off-grid energy situation in remote rural areas across the globe, SVI is conducting workshops and follow-up engagement activities across East and West Africa, South and South East Asia, and Central and South America. The engagement activities focus on energy provision to off-grid rural areas and how that energy can catalyse development. 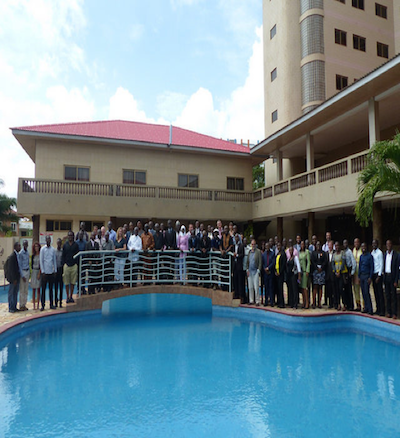 One of such activities was the West Africa regional workshop held in Accra, Ghana (May 23 – 25). The three-day workshop brought together key players in the industry, including scientists, entrepreneurs, villagers, researchers, financiers, policy makers and regulators and NGOs. The workshop was preceded by a field trip to Anyakpor village where the Netherlands Development Organisation (SNV), Ghana, had helped villagers develop the Morrison Improved Fish-smoking stove. From interactions with the users, it was gathered that the transition from conventional fish-smoking stove, “Chorkor” into Morrison stove, which has created an environment-friendly smoking process, and also helped increase the efficiency of the smoking process, thus reduced fuel wood consumption by as much as 40 percent. Besides, the Morrison stove makes the smoking process faster, thus increasing the quantity of fish smoked per day and therefore increasing their income. Various challenges facing off-grid energy solutions in rural communities were identified. 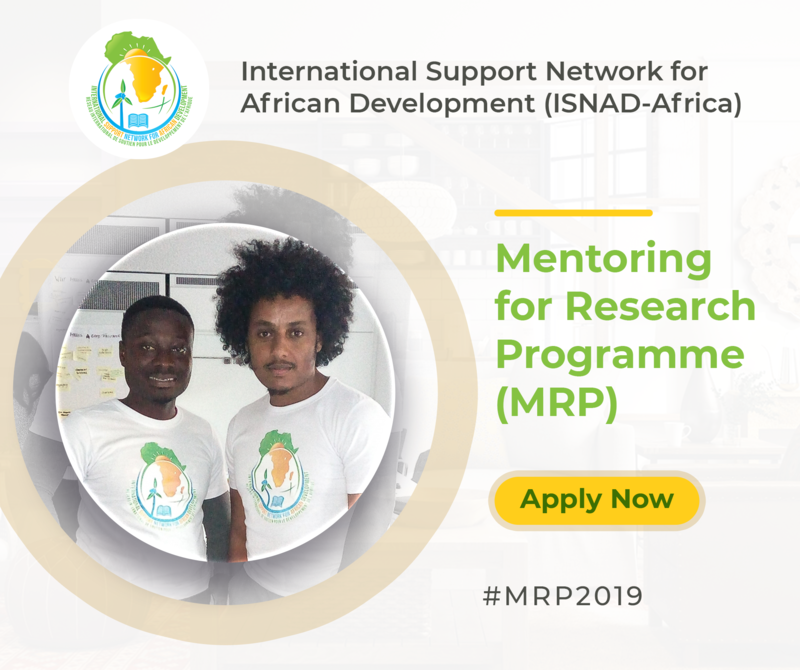 These challenges include inadequate framework conditions, challenges with the approaches to off-grid energy project design and implementation, poorly developed human capacity, and difficulty in accessing funding. Presentations and other engagements at panel and plenary sessions, among others, identified a number of practicable measures to overcoming the challenges highlighted. The need for a more collaborative approach was identified as an excellent means of overcoming the challenges identified. While the government’s role is to set framework conditions, a high level of private sector inclusiveness was recommended in setting the framework conditions. This increase would help ensure that the policies do not just ensure affordability of tariff by energy users, but also attract private sector investments. Also, the approach of implementing renewable energy projects as “donations” (gifts) was identified as being unsustainable, while those implemented as private sector investment have been largely sustainable. The need for the availability of more public funds for long-term investments like renewable energy projects was therefore recommended. In addition, the need for information sharing on existing project performance and end-user responses was also highlighted as a major need to attract investments in the industry. Increased level of community participation was noted as a major factor towards sustainability of off-grid energy projects in rural communities. Beyond initial socialization meetings at project inception and awareness of existence of the project, energy users have been observed to be interested in keeping up to date about the energy projects in their communities. A number of windows for community participation include provision of land for project sites and labor for construction, installation, monitoring, and maintenance. To foster sustainability of the project, training activities were recommended for the users to ensure proper handling. Over the years, economic development has been seen as a succesor of energy access, but this is not the experience in many rural communities where off-grid energy solutions have been implemented. This outcome is because most rural off-grid energy projects are not designed to power economic activities in rural communities. Instead, they are designed for basic lighting and other residential applications. Besides, most rural off-grid energy projects are not accompanied with any capacity development and support programs for users to ensure productive use of energy in the communities. An integrated approach to off-grid energy implementation that both provides energy access and assists the community towards its productive use was therefore recommended as a major strategy towards the sustainability of the energy projects in rural communities. In addition to helping users raise money for maintenance, such approach would increase the interest of the community in the projects, as it will also serve as a source for income. The issue of standardization of system components to be adopted for deployment was also highlighted during the discussions. This standardization would help address the challenges of infiltration of low-quality products which have been observed as a major cause of system failure, especially for solar photovoltaic (PV) systems. Further, the need for increased capacity development programs in the region on project design, implementation, monitoring and maintenance was discussed. The establishment of a central coordination of multilateral, and foreign aids and investments was therefore recommended as a major means of ensuring that efforts towards off-grid energy solutions are adequately channelled towards the need of the people and in a sustainable manner. Many thanks for your very encouraging words. We will continue to do more. Thank you.